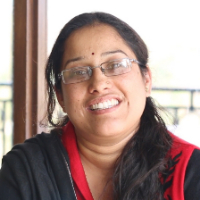 Sunita Bisht has done B Sc & M Sc from HNB Garhwal University. She joined SGRR Public School, Dehradun in 2003. While she was teaching, she completed her B Ed from IGNOU. She also holds a Diploma in Computer Applications. She is a Physics Teacher at SGRR Public School. Physics is the natural science that studies matter, its motion, and behavior through space and time, and that studies the related entities of energy and force. Teaching physics involves crafting a learning environment where students are able to explore and understand how the physical world works, and to connect complex scientific concepts to their daily lives. "I have done B Sc & M Sc from HNB Garhwal University. I joined SGRR Public School, Dehradun in 2003. While I was teaching, I completed B Ed from IGNOU. I also hold a Diploma in Computer Applications. I am a Physics Teacher at SGRR Public School."